Powercam PRO 5,2 world best Univercal CA Module with Support to descramble several systems in very good price from exclusive distributor. Powercam Pro 5,2 is conditional access module that is able to use for several descrambling systems. Easily Powercam PRO is universal CA Module and world best seller with very competitive price. To be honest its cheapest professional ca module on the world which can open more then 8 channels or services. Maximaly 16 channels tested with Tring TV in Albania. This Powercam access module is able to descramble several systems such as very pupular Conax or Viaccess. Powercam PRO version 5 or newest one version 5.2 can make your business more profitable with very important look at reliability of this professional use product compatible with every popular brands of Head Ends like Johansson, Teleste, Televes, Ikusi, Wisi, Triax and so on. Powercam 5.2 is tested with each brand and seems to be best choice for your professional use. In this case customer could replace Powercam PRO 5,2 and change more expensive professional CA Modules that are able to open 6 or 8 services so you can reduce high expansys in building of head-end stations and offer to your clients better services in better price to make your business growing ! 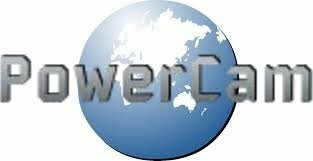 DVBMarket is exclusive distributor of Powercam PRO 5 version. Feel free to contact us so we are able to prepare offer that you need if you would like to became a distributor of any area or just would like to cooperate with this excelent product. PowerCam Pro modules in latest version 5.2 supports also multidescrambling on receiver with PVR function to enable independent watching of a choosed channel while recording another channel, event. more channels at a time (depends on the HD receiver possibility).